The abstractness of design calls not only for talent but dedication and scrutiny of people’s needs at respective times. 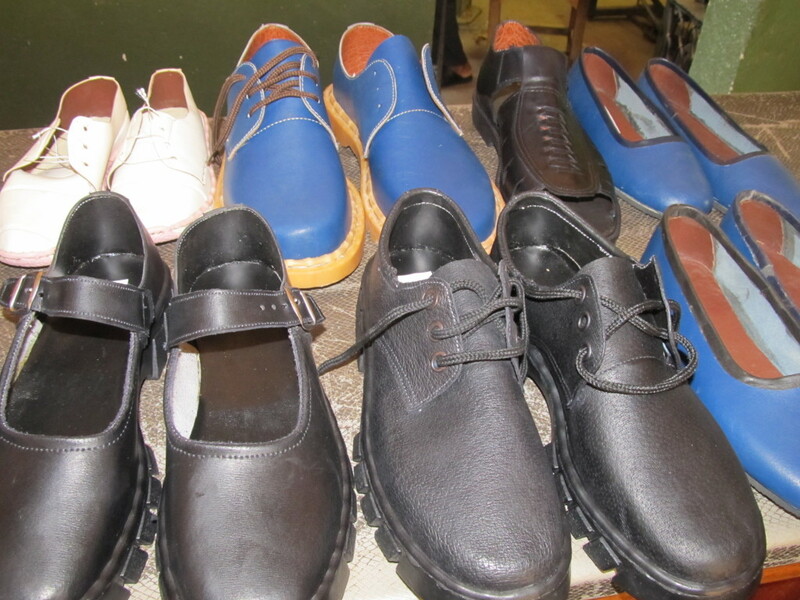 Pleasing to time, tradition and fashion are the new shoes made at the cobbler section. the venture of making new designs has put Andiamo Trust to new heights altogether. “Most locals and Italian volunteers have fallen for these new designs” says Grant Kaiyatsa one of the cobblers. 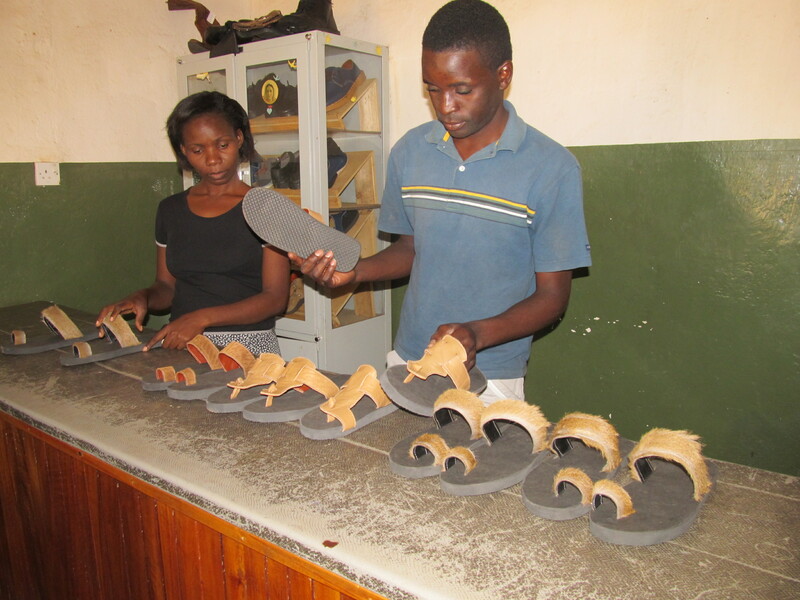 The section has been advised to make more shoes some of which will be taken for showcasing in Italy next month. 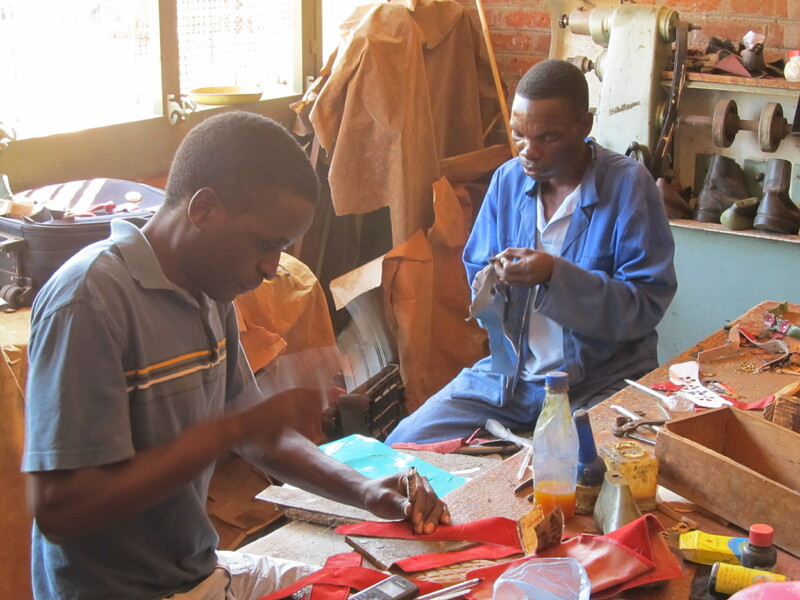 This entry was posted in News from Malawi, Social Development and tagged Andiamo Trust, Chimwemwe Wawo Mwenyemasi, Cobbler section, Grant Kaiyatsa, Harry Pongolani, Italy. Bookmark the permalink.